After every presidential race since 1972, Harvard University's Kennedy School of Government has invited campaign teams and key players from the primaries and general election to sit down and candidly discuss what just happened. The event is set up to record history in real time, from the mouths of insiders themselves, and most years the subsequent dialogue is professional and civil. But following Hillary Clinton's stunning loss to President-elect Trump, analysis has broken down along two lines: Did Trump win? Or did Clinton lose? Clinton and Trump campaign operatives offered plenty of theories (and emotions) on both fronts. Trump and Clinton were, together, the two most disliked major party candidates in modern American history. So perhaps the win of either would have seemed unimaginable to the other side. But since Clinton had been the predicted winner by almost all major polls and serious pundits, explaining her loss has been a challenge. Here are the arguments for why Clinton lost, and why Trump won, from the campaign pros who still appear to very much dislike each other. Clinton's campaign team strongly believed their candidate faced a number of unfair obstacles. And for Robby Mook, first on the blame list is FBI Director James Comey. Clinton's campaign manager criticized Comey's public release of two letters concerning the investigation of Clinton's private email server, saying that the suggestion of forthcoming government scrutiny of Clinton energized Trump supporters, while zapping enthusiasm from hers. That the letters came in the final two weeks of the campaign likely made their impact even greater on the final voting results. Prior to Nov. 8, Trump's ability to win depended on him being victorious in Florida, Ohio, North Carolina. No one gave him much of a chance in Michigan or Wisconsin, much less Pennsylvania (except Michael Moore). Clearly, Clinton's team was overconfident in those states, as Trump won them all, radically altering an electoral map that had been taken for granted. Mook acknowledged as much: “In retrospect, should we have put even more in terms of schedule and perhaps unpaid communications into Michigan, Wisconsin? Absolutely." Lincoln Chaffee and Jim Webb were both originally Republicans, making Martin O'Malley the only other longstanding Democrat besides Clinton. This "clearing of the field" may very well have made Democrats feel they never really had a choice in their nominee. Campaign operatives expressed their downright disgust with news coverage of Trump, and CNN's Jeff Zucker got to bear the brunt of their grievances. As CNN's chief executive, Zucker was "heckled" at a panel discussion by various members of Republican primary campaigns, who refused to let Zucker off the hook for the wildly disproportionate attention paid to Trump as compared to other candidates. Sarah Huckabee Sanders, who originally worked for the campaign of her father, Mike Huckabee, pointed out that during one 10-day period, Trump had 256 minutes of primetime CNN spotlight. Her dad had just 17 seconds. This isn't just CNN's problem; all cable media provided Trump an outsized (yuuuge) platform. This was Kellyanne Conway's main theme, saying that "there's a difference for voters between what offends you and what affects you." Trump's campaign manager went on to argue that he had connected with white working class voters that the Democrats had ignored. Ultimately, Conway argued that Americans cared more about big issues, like immigration, national security, and economic struggles, than whether or not Trump personally offended them. Clinton's media strategist, Mandy Grunwald, gave what is probably the best backhanded compliment of 2016. She brought with her the final pre-election edition of the National Enquirer, a tabloid that has been overtly friendly to Trump (the owner is a personal friend of his), and held it up for all to see. That issue featured a baseless story of Clinton being addicted to drugs. Grunwald addressed Kellyanne Conway and said, "I don't think you give yourselves enough credit for the negative campaign you ran." Of course, the tabloid hits were one tiny piece of an overall strategy. There were the "Lock her up!" chants at Trump rallies, his infamous "nasty woman" comment at the final debate, the tweet Trump later deleted, which read, "If Hillary Clinton can't satisfy her husband, what makes her think she can satisfy America?" 2016 may have reset the lows to which a candidate can sink and still win the presidency. When should Clinton have first started feeling nervous about her chances? I'd say right about when the public skewering of Jeb Bush became a national hobby. When a successful conservative governor, who happens to be the brother and son of former presidents, can't pull above fourth place in a Republican primary, that says something about the electorate. And what it says is that they're really not going to do the dynasty thing this year. Mook listed that as one of Clinton's challenges, that this was a year when the voters wanted change. President-elect Trump's new chief strategist is Steve Bannon, but he also served as the campaign's chief executive. As the former CEO of Breitbart News, Bannon turned the conservative outlet into a "platform for the alt-right," a group which includes a fair number of white supremacists. Jennifer Palmieri, the chief communications director for Clinton's campaign, refused to ignore Bannon's decision to use racial angst and animosity to stir up support for Trump. The exchange between Palmieri and Conway was extraordinary. Palmieri first said, "If providing a platform for white supremacists makes me a brilliant tactician, I am proud to have lost. 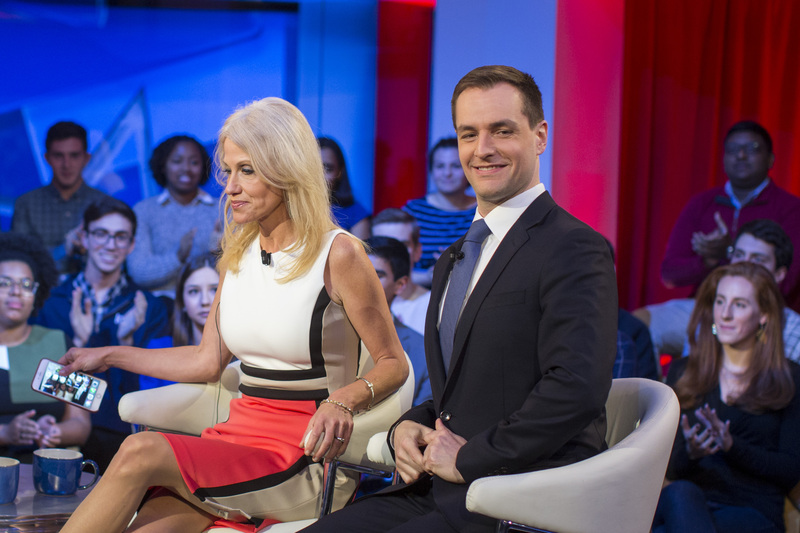 I would rather lose than win the way you guys did.” Conway shot back, "Do you think I ran a campaign where white supremacists had a platform?” Palmieri didn't back down. "You did, Kellyanne. You did." That's what I call a mic drop moment. These are just nine theories of how Clinton lost (or Trump won) the election. No doubt this election will be among the most studied and written about in American history. That makes it all the more worthwhile to hear from those closest to the events themselves.